1. Tell us how the Noise Madhouse of Kadaver came to be and why? I have talked about how Kadaver came into existence many times before but since this question is sort of inevitable in an interview, I'll answer it again here shortly; Kadaver was born in 2003 as part of a mental treatment I was going through at the time. It was a process of creation through art in order to deal with ever-growing issues of anger, frustration, stress, inner-pain and sadness. I referred to it in the past as a "draining of a pus from an infected wound". You can call it a 'cleansing ritual' of some sort or the alchemy of turning negativity into something more useful, that improves the coping mechanism of existence, and by that making the weight of the world less heavy. How did that work? Basically, I had no previous experience with "sound". Before that time, I was a vocalist in a few local metal bands, but other than that I didn't have any musical background. I just started manipulating sounds unprofessionally, learning how to operate my gear as I go along. In the first couple of years I had no intension or desire to publish my work. I did it just for myself. But after playing my sounds to a few personal friends who encouraged me to get my sounds out there I started sending my audio to a few labels and saw that others relate to my agony\fury, and that ended up supporting the therapeutic aspects of this process. And so, I just kept doing it ever since. Within time, my gear gotten more sophisticated and I was able to express myself better, but at the core, it remained the same idea; and that is more or less transforming the ugliness of my life into art. 2. You have released many products tapes, Digital, CD , CDR's etc. Do you feel limited releases in a physical manner make them more special as anyone can get the digital media? First of all one correction - I have never released any of work on a digital format. By that I mean; my albums can be found on Bandcamp, iTunes, Spotify, Apple Music, Pandora, Tidal and a few other "online sources" but each of those releases also have a physical format behind it. There isn't a Kadaver album in existence that only appears digitally. It's just not a format I relate to and not the way I consume music myself. I am admirer of a physical representation made of plastic and paper. I don't necessarily think that limited releases are more special - it's more like that "special" releases (be them very limited or not) are more special... When a label puts out a quality release, well pressed, with a powerful design - for me, it will always worth more than just audio files "floating" somewhere on the web. Limited releases has some advantages, for example - the ability to add all sorts of extra oddities to your release. For instance, I've just released Tavola Anatomica IX (on BeTon's side label - Tavole Anatomiche) which was limited to just 36 units but each copy is truly a work of art. It came inside an hand-cutted cardboard artwork with lots of extra stuff inside such as a toe tag, a surgical plastic needle, a fabric tape that holds a plexiglas blade, a piece of gauze closed with a patch and more. And yet, very limited releases have some downsides. I see quite a few artists/labels releasing works limited to 5 copies. Personally, I don't get it. Between the artist and the label (each I would assume wanting to keep at least one copy to themselves) who will be left to listen to the music? If it doesn't reach no one, what's the point? 3. You worked with many labels Fall of Nature, L White, Eastern Front, Old Europa Cafe, Fractured Spaces etc. What label do you feel treated the project best and what label if any you would release it on if you could ? The Dream label? Most of the labels I've worked with so far have treated Kadaver great. As long as there is good communication and an open dialogue, these things tends to work out quite well most of the time. I can say that there are a few instances where I was disappointed by the labels I've worked with, and even a couple of cases that in retrospect, it was better for me not to work with these people. But usually, I am very pleased with my releases and most of the labels I've worked with so far. I think that is because the people that are releasing my sounds are the same people who are consuming them and when you are working from passion - it shows. I already got to work with a few of my "dream labels"... You mentioned one of my all time favorites Old Europa Café (I've released my split album with Djinn on their platform) which was a huge honor for me. Also L. White Records which is a label I have admired for many years and was delighted to join their family. There are of course quite a few labels I would love to work with in the future. I am hoping to continue, conquering the hills as I move forward. 4. I feel so much passion, pain and darkness in Kadaver what do you want the listener to get out of your soundscapes? I have no specific message to my recipients, the way I see it, the interpretation of art is not the role of its creator. I'll have to leave that question to the listener. 5. If you could make a proper video for any song which one and why? Actually, besides a few clips made by "fans" and friends, I've made most of the Kadaver videos myself. I am not sure if all of them could be considered "proper"... Especially not the early ones. I am not a professional video editor and I learned things by myself from years of messing with it. I'd like to think I've got better over the years but perhaps it's not for me to judge. 6. How has the digital age changed underground artists to create, release and promote music? Does Bandcamp, Goood PR and Digital radio/zine make all the difference today? The music business as a whole changed a lot during this "digital age" as you put it, and of course it is noticeable in the underground. For instance; me personally - I love reading reviews by interesting zines, especially by specific writers that I relate to their taste in music but nowadays there seems to be less people writing about music. You have the album on Bandcamp and you can listen to it yourself if you so choose. I think that good reviews that motivates you into listening to something new are becoming sort of a lost art, and I think that's a shame. Personally, when it comes to Kadaver, I never really worked hard on PR myself. I'm not sure if that's "good or bad" but it was never my focus. Nowadays, with Facebook and everything, I usually make a few posts whenever there is something new but on the most part I let the music speaks for itself and the word just travels. 7. Besides Kavader what other musical projects are you working on? I'll only address active projects in my answer - So, besides Kadaver I have my side-project that I am doing together with my wife, Tamar Singer, which is called Necromishka and combines industrial music, dark folk, post rock, dark ambient and drone. So far we've released one album entitled The space between us(on 999 CUTS records) and took part in the More Than Folk's Sol Invictus Tribute (called- Oh What Fun He Had). 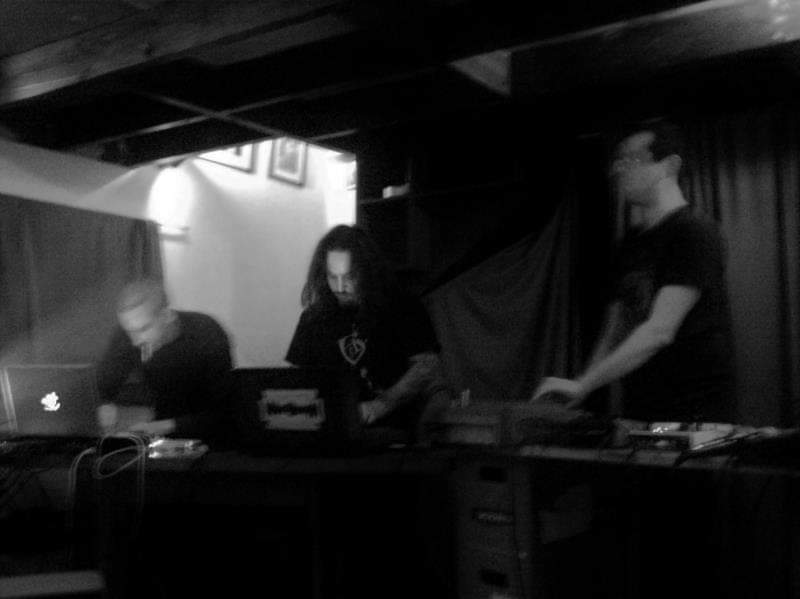 We also did a couple of gigs, playing live together with Roma Amor and Majdanek Waltz. These days, we are working on new material. I am also a member of local neo-folk legend- Agnivolok. I joined this project as a live session musician a few years ago and nowadays we are recording Agnivolk's latest album together, in my home-studio. Tamar and a few other guests will join us as well. I am very excited about this one! I am also taking part in live-project that is called Witch night or "Hamechashefot" (Hebrew for "the witches"). This project exist for many years now in the Israeli underground. 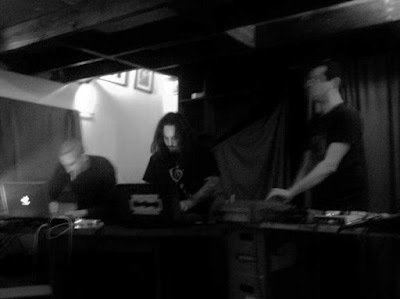 It is a live-noise orchestra of a few local artists (and for the last 6 or 7 years now, me among them). We gather every few months, almost always in a club in Tel Aviv called Zimer TLV, under the watchful eye and angry gaze of Oz Michaeli, who is also the founder of this project and acts as the conductor in each of our shows. Each performance is a bit different; sometimes we do a live soundtrack to a film, sometimes we put up a whole theater production with actors and dancers and sometimes it's just us on stage, abusing our instruments. Our instruments by the way, change all the time; each show according to the atmosphere we seek to create, combining both electronic gear and acoustic instruments, and of course vocals. The line-up also changes from time to time in response to the ceremony but consist of a core of the same people, who are in my humble opinion, the best musicians in Israel. Besides myself and Oz, there will be no show without Lior Ashkenazy - truly a master of sound! Also, Oren Ben Yosef, Yaniv Schonfeld, Daniel Baranov - all terrific artists! 8. What is some music and books impressing you currently? With music things are even 'worse'... New stuff are constantly piling up over here, among them many releases I consider impressing. For many years now, I am mostly listening to black metal, doom, depressive-rock and neo-folk. If books = joy, then music is a thousand times more than that. One of the best things life has to offer. 9. I heard 2018 was a very trying year for you how has it changed you for your artist outlooks? Without getting into too much details; I had some severe health problems and I had to be hospitalized a few times. I can say that for now, I am doing much better but for a while there, things were rough. I am still not completely out of harm's way and I am struggling with a lot of changes resulting in some difficult times, mostly emotionally. It took me some time to notice the change becoming a pattern, but it is now safe for me to say for sure that this whole new situation, and the things I went through lately, have indeed effected my creative work. The first (and perhaps the main) change that I noticed is that I create more nowadays. I have a stronger and more constant urge to create art - and mostly music. I am the sort of artists who usually create upon a 'muse'. Sometimes I can go months without doing anything creative and sometimes I'm on a frenzy- constantly creating. These days, it's without a doubt the second one. I am not entirely sure exactly why but this experience which brought me the closest I've ever been to death, have left me with the desire of making my noise heard. This is also the reason why I have expended my selection of labels; approaching both the "big labels" but also some of the smaller ones - focusing on limited and unique releases. I'm not sure where this is all going, I have no specific direction in mind. We change, and the art changes with us. 10. Live vs Recorded which do you enough more and why? Recorded, for me - defiantly. I barely play live for a long while now, I have an average of 3, maybe 4, shows per year. It's a different ritual for me and I feel that my recorded material represents me more accurately and serves me better. Also, many times when I am in a crowd of people I'm struggling with some form of anxiety, so I don't put myself in that condition all too often. But, like I said many times before, the 'catharsis effect' and the calmness that follows after a "successful show" is something that makes it all worthwhile, and the reason I still do it from time to time. 11. Kadaver why the name for the project? It's a long answer but I'll just give the bottom line here- The name came from my perpetual-obsession with the subject of death; something which has fascinated me from an early age well into my present life- on many levels and through many different manifestations. 12. If you could collab with anyone who would it be and why? Also, just last I've released the V-DAY boxset featuring works together with- In Slaughter Natives, Steel Hook Prostheses, The Vomit Arsonist, N., The Rita, Black Leather Jesus and Vomir - which I hand-picked for this project and of course were are all artists I really wanted to work with (and will work with again, at least with some of them). There are quite a few artists that I would be honored to collaborate with..
Let me just say that you can expect more Kadaver collaborations/splits with the artists I desire to work with - in 2019 and beyond. Just for you Clint, here is a partial list of collabs (all previously unannounced!) that I'm planning to unleash this year or the next one - Cronaca Nera, Dosis Letalis and Werewolf Jerusalem. Thank you Clint!...for your friendship, this interview and the music- which you create!